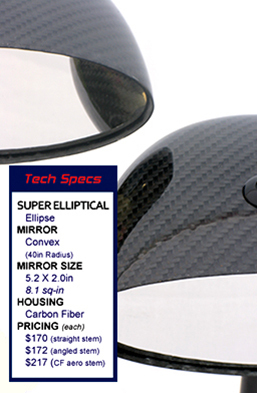 Big convex mirror lens and a varied selection of stems, the Super Elliptical is perfect for the full-bodied prototype racer or production racer. 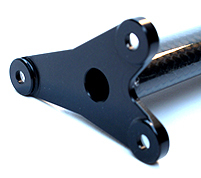 Tucked neatly inside the housings is an internal ball stud to allow a wide range of adjustment. 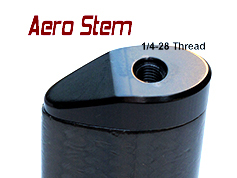 More importantly the stem choice ranges from a simple 3/8-inch aluminum stem (2.0in to 6.5 in) to an aero-efficient, angled, carbon fiber stem. 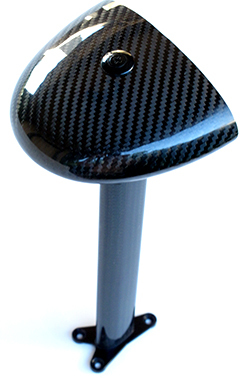 The mirror measures 5.2 x 2.0 inches and is 'soft' mounted within the housings on thin foam pads to absorb vibration. The mirror's subtle convex shape gives you an excellent overall field of view without distortion. 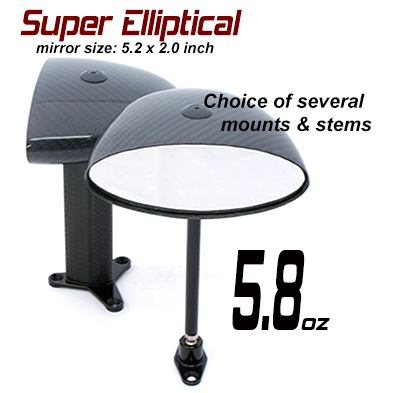 If you're looking for a lightweight, aerodynamic pair of mirrors to replace big, heavy OEM mirrors, we suggest the Super Elliptical. 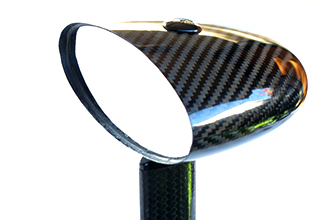 It is the perfect size and shape and will give you a perfect view at a glance. Super Elliptical is adjusted using a 1/4-inch hex wrench to loosen a stainless steel ball stud held within a 6061 aluminum mount. 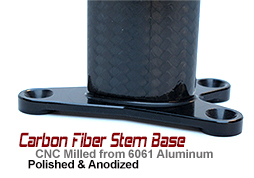 Super Elliptical housing is made of two layers of carbon fiber twill and genuine epoxy resin, the same epoxy used to fabricate all of our carbon fiber housings. It started with a phone call. Diego Grillon at DDR Motorsport needed a set of customized mirrors for a special project. 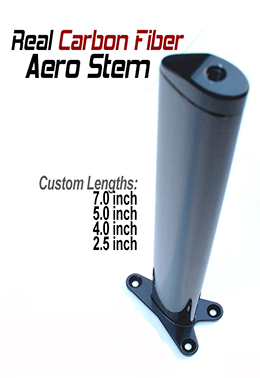 We delivered a set of modified Super Club Ellipticals on aero stems. He delivered a helluva way to blow out the candles to celebrate a 10-year anniversary.